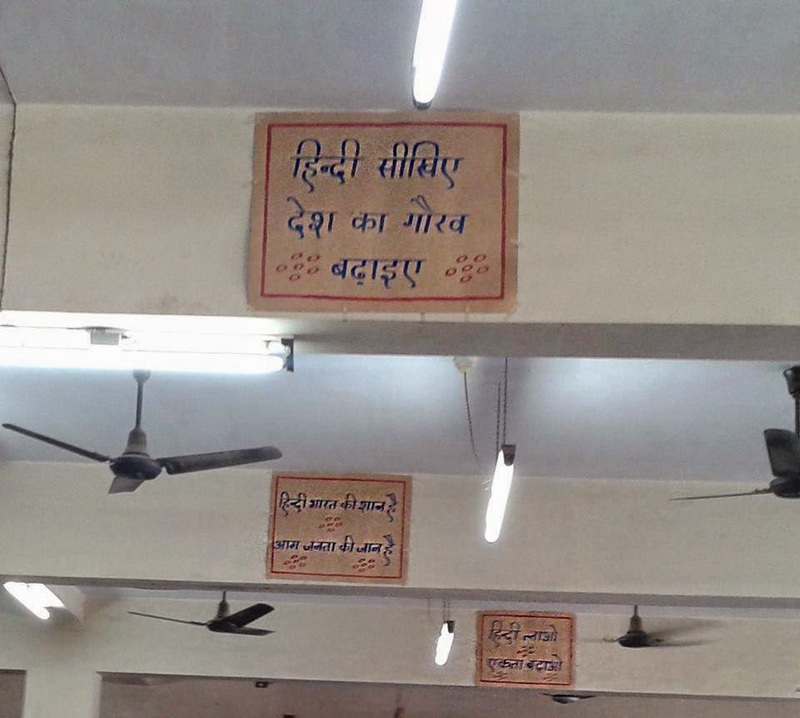 Boards at a Indian central government office in Bengaluru (Karnataka State) in 2014. Loose translation is "Hindi is the pride of India. Learn Hindi."